What is SEO… and Do You Really Need It? 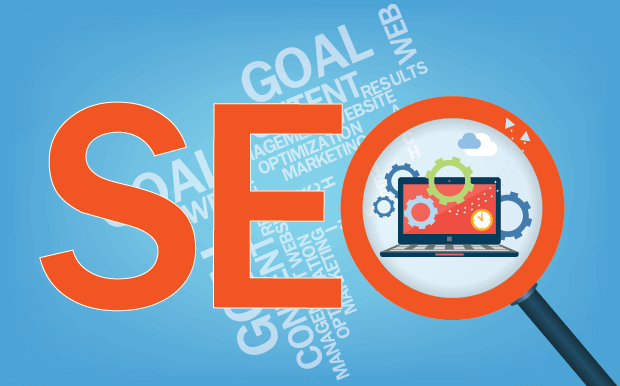 Home » Web Design Blog » What is SEO… and Do You Really Need It? Most companies with a website have at some point probably been approached by a company or an individual attempting to sell Search Engine Optimization services, commonly referred to as SEO. But what actually is SEO and why should a company consider paying for it for their website? Years ago, the actor Kevin Costner made a film about baseball legends called “Field of Dreams” about building a baseball diamond on his farm in what was a corn field. His oft repeated refrain for the motivation to do so was “Build it and they will come”. Guess what? If you haven’t figured it out by now, that doesn’t work on the internet! It’s the same as if a company had the most spectacular electronic billboard in the world but if it’s placed in the middle of the desert or on the top of a mountain where no one sees it, it will generate no new business for the company. A website must be found and viewed by the consumers doing internet searches for a company’s products or services. SEO is the science of correcting the technical flaws on a website which are preventing it from being found on internet searches, and including the things that browsers are looking for when ranking pages on a website. Many companies have been burned by self-proclaimed SEO “experts” who take their money, but never produce the desired or promised results. To do so, an SEO provider first must know the “rules” of the game. Browsers have rules which apply on the front end of the site dictating the layout and content, and on the back-end in the actual programming code. For example, Google’s search algorithm (the mathematical formula used by the Googlebots and spiders which “crawl” the “web “seeking websites) consists of 207 components which Google uses for ranking purposes. And changes are made to it constantly, either to plug loopholes which allow sites to slip through or detect undesirable techniques used to achieve high rankings for a website which are not deserved. These techniques are referred to as “Black Hat”….taken from the old cowboy days of black hats being the bad guys and white hats being the good guys. In addition, some changes are made to enhance the consumer’s search experience by providing more accurate search results. Proper “white hat” SEO techniques are used to get a company’s website found for exactly what they want to be found- their products and services. And also to be found in the company’s desired service area, be it local, statewide, or nationally. The actual search results are in the middle of the results page and are referred to as “organic” or “natural” results, with the default being 10 results per page. The desired position for a company is to be found at or near the top of the organic rankings. Minimally, they must be found on page 1 of the results, as only about 2% of consumers ever go past page one. So if a company’s needs to be found to attract more business, then they need to seek out a qualified, experienced professional SEO services provider that can show verifiable proof of its work. Many companies have been burned by self-proclaimed SEO “experts” who take their money, but never produce the desired or promised results. Call Strategic Media at 727-531-7622 and let us show you what we can do for your company!